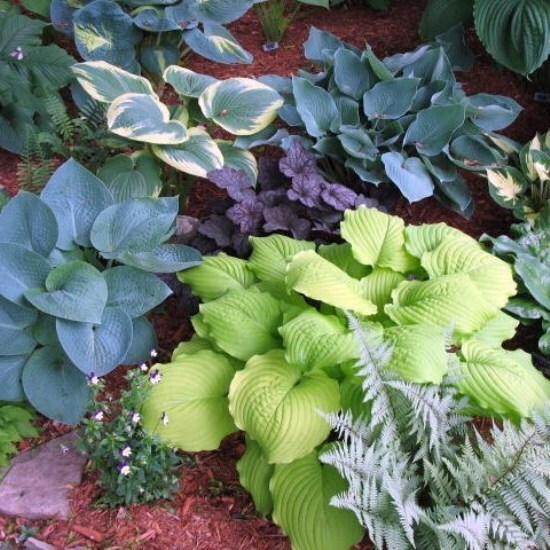 Spice up your hosta garden with this unique beauty! Ligularia dentate 'Britt Marie Crawford'. Broad, glossy, dark chocolate leaves with dark purple undersides make an extremely bold statement in the garden. In late summer, golden orange, daisy-like flowers are perched atop purplish-black stems for an all-together captivating composition. To get the best color some direct sunlight is needed. Like all ligularia this beauty appreciates moisture and looks best if not left to dry out. There's nothing quite like it! PP#16113. MATURE HEIGHT: Foliage 36". In bloom 48".